Wedding Package 2018: from RM888+ per table | Capacity: 1600 pax (Grand Bayview) | Grand Straits Garden's Grand Ballrooms can accommodate up to 1000 people and has a tropical rainforest open garden. This garden concept open-air restaurant has 7 intimate private VIP rooms (up to 50 pax, equipped with karaoke facilities), cozy garden & indoor dining. 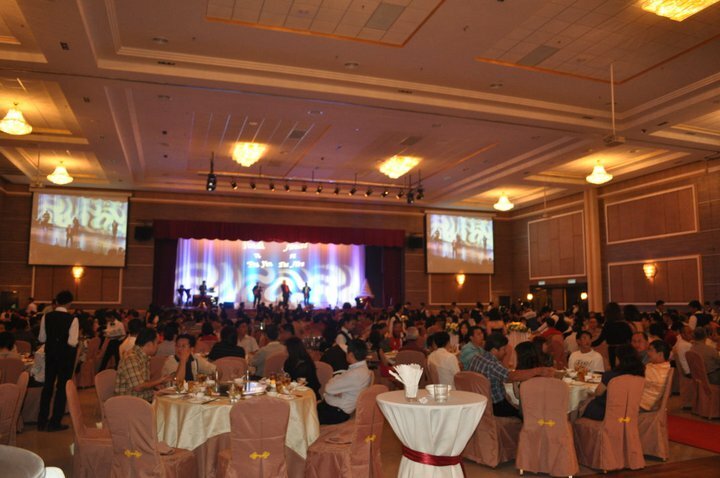 All function rooms are fully equipped with multimedia audio-visual systems and Plasma video displays. 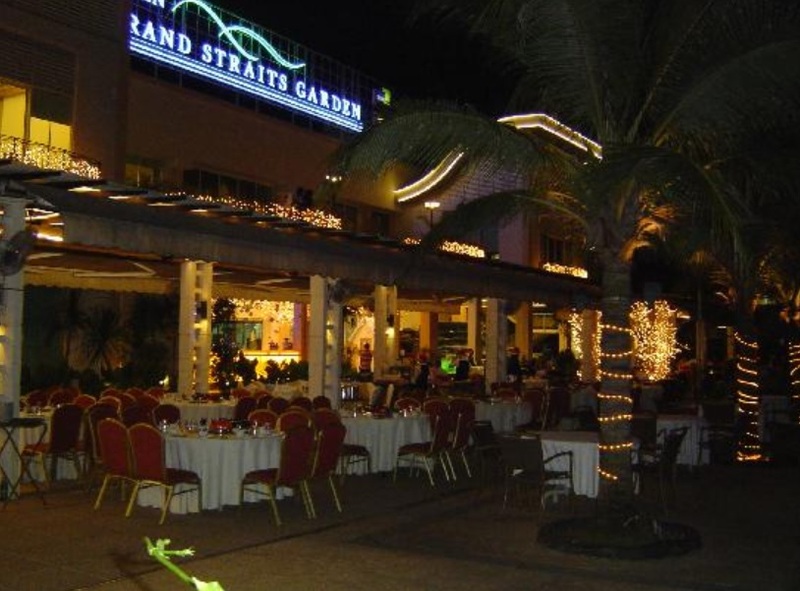 Best known for its fresh seafood specialties, Grand Straits Garden Seafood Restaurant has recently undegone a multi-million Ringgit refurbishment and it transformed the restaurant into a classy dining and event venue in Johor Bahru. Your wedding guests can immerse in this comfortable environment, enjoy the food with the swaying coconut trees, accompanied by the soothing sounds of the waves and sea breeze. In have been here before, when there newly open above 12 years ago. 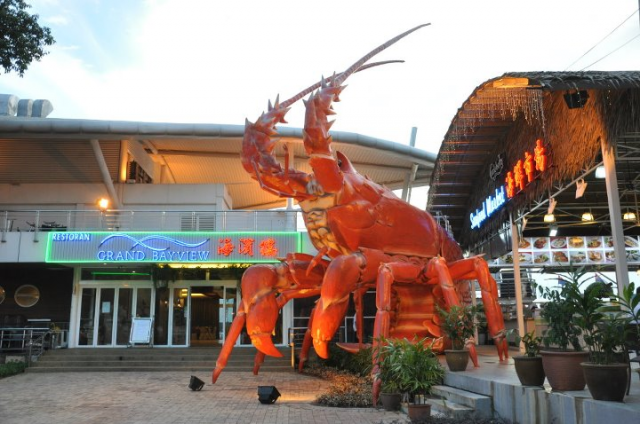 It's a no pork Chinese seafood restaurant, whereby there are a huge aquarium with all sorts of seafood on display. This place haven't changed much, while the aquarium are still on display. This has to be my favourite ... the scallops were fresh, sweet and succulent ... the macadamia and pine nuts were crunchy .... and the broccoli crispy ... such contrast in texture!!! 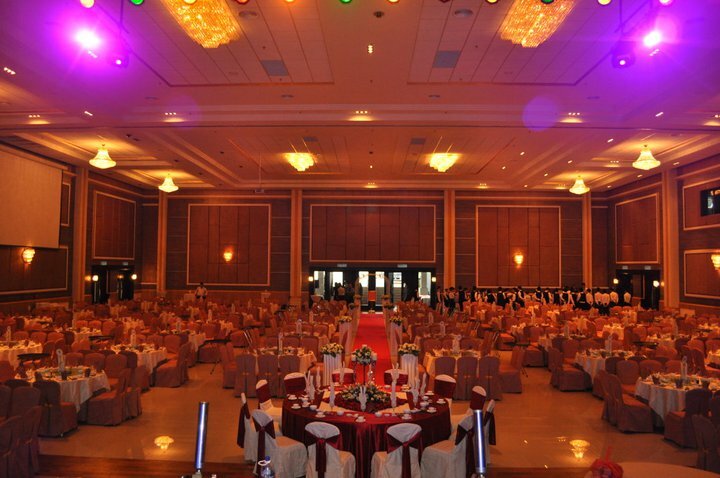 The decor was very nice too. The lights were kept dim, and exuded a very cosy and romantic atmosphere. 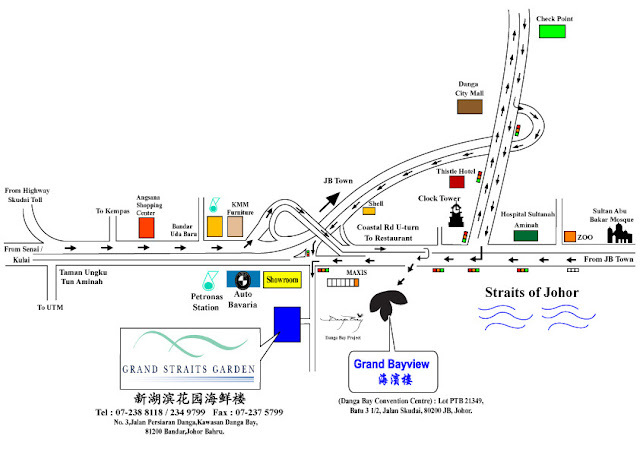 The Grand Bayview Seafood Restaurant is just 3km away. 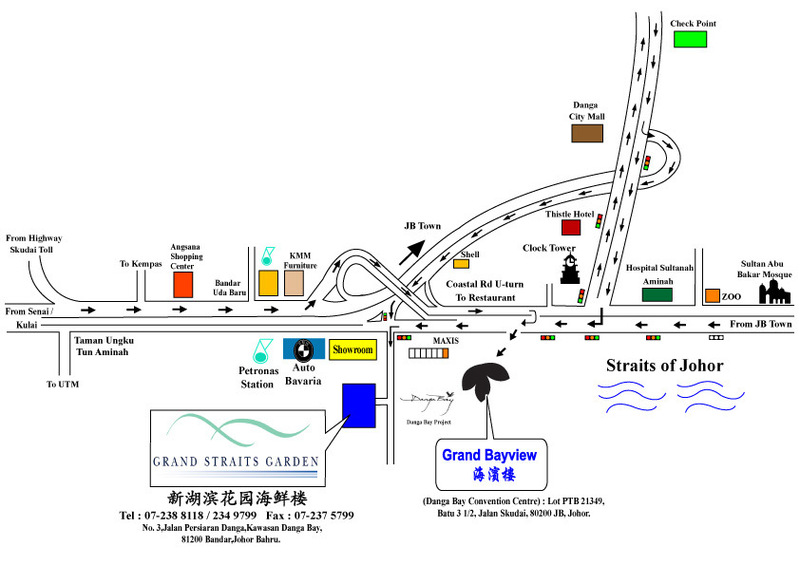 Grand Bayview Seafood Restaurant, was created to offer guests a completely new dining experience with relaxing ambience facing the straits of Johor with an adjoining bay filled with yachts & sailboats. 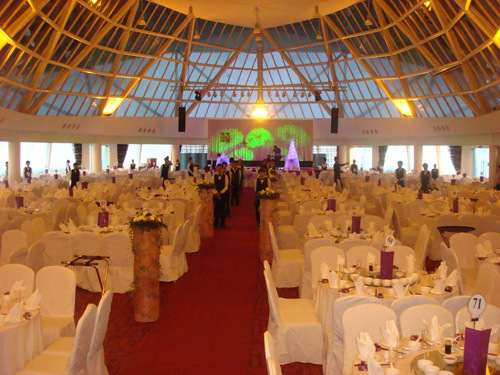 The entire Grand Bayview Ballrooms can accommodate a seating capacity of up to 1,600 guests (160 tables). 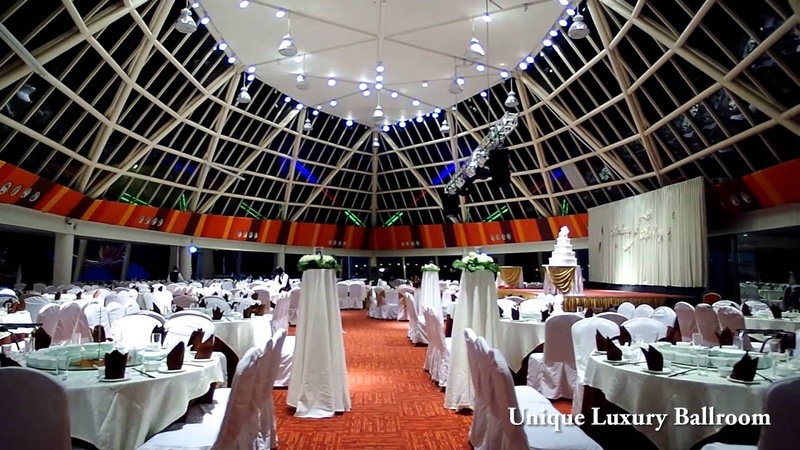 The hall has a glass window ceiling which creates a nice atmosphere. The Grand Bayview restaurant is located in the Danga Bay Convention Centre, with an adjacent marina bay view. They don't serve pork. Some say it is halal but I couldn't find any info from their website.